#109 was listed as Albert & Anna Bakker of Bufflalo, NY in 1955. They had moved to Jenson Beach, Fl by 1960 and are still listed at that address thru 1973. It is unkown if they actually owned your 1972 Airstream. I have acquired a 1954 airstream flying cloud. The numbers are: 12834. In my 1970 directory that number is assigned to Irl & Milly Bradley of Ganges British Columbia Canada.No caravans are listed for the Bradleys. The next directory I have that that number appears in is my 1982 Directory and continues up to my 1994 Directory and was listed to Lloyd & Marilyn Gleason of Madison Wisconsin. I have personally seen this membership number at 4 different Int'l Rallies between 1989 and 1996.The last time the unit was a Landyacht Motorhome with a Wisconsin license plate. In the 1967 Directory 12834 is listed to Gates, but when you go to the alphabetical listing there is no 12834 in any of the Gates listings. It is a mystery. Same thing with my 1968 directory. I have run across it several times in the past. I have recently purchased a 1966 safari with the numbers 14440 would it be possible for someone to look up the history of this trailer. Thanks so much for any help you can provide. The 68 directory lists Oscar and Gladvs Hurd from Waterloo IA as the owners of that number, but there is no guarantee that this is their trailer, as that number may have been reassigned a number of times. There are no national caravans listed. I've got "30403" on my 1955 wanderer. Any one have any info? looks like it had a Wally Byam Caravan badge on the front of the trailer. 30403 was not issued till 1977. My 1978 Directory list it as belonging to Bud and Clare Vogt from Feasterville, PA no caravans were listed. They are still listed in the 2005 Directory. They had moved to Orlando. FL but still had not national caravans listed. My 1968 and 1970 directories list that number to Robert L & Ruth Gossard of South Solon Ohio. In my 1992-1996 directories it is listed to Brad & Micki Forrester of Lebanon Church Virginia. No caravans are listed for either owner. 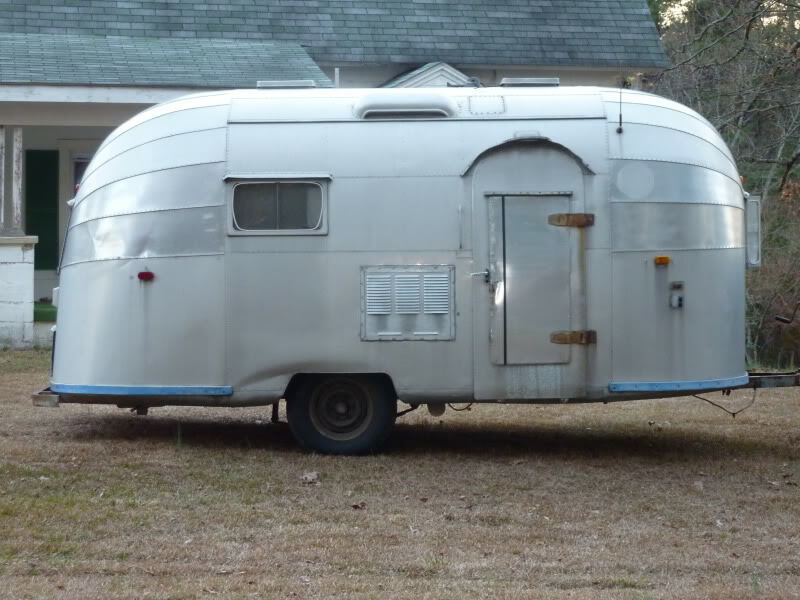 i have just purchased a 1975 31' land yacht "Romany" no.12336..doesnt appear to have been used in years..currently being restored..any info would be cool to know..thanks ! It is also listed in directories 1982 to 2002 to Allen & Sophie Carpenter of Brighton MI and a later address in FL. On a personal note,I saw this membership number at the 1990 Int'l rally in Notre Dame IN.